The Washington Monument stands tall, solid and strong as a reminder that there is freedom and opportunity here for everyone. There is no perfection in life save for ideals. And so there are misfits within us who sometimes falter and doubt, or weaken with despair. There are those who close their eyes to the glory and the greatness of what we have been given, but for every one of those, there are an equal amount who see and are thankful. And those of us with our eyes open honor the great number among us who strive and fight for liberty so that all may pursue happiness and be whole. In my nation’s capitol I am amazed at inspiring views that bring to mind the vision our great leaders had for this country and for their fellow man. I am humbled by the sacrifice of others to defend those principles of freedom. And I am not alone in the privileged position of being able to gaze upon greatness and call it home. I am surrounded by throngs of people, all shapes and sizes and colors, some quiet and contemplative, some boisterous and giddy for the adventure they’ve been given. All free, all welcome. 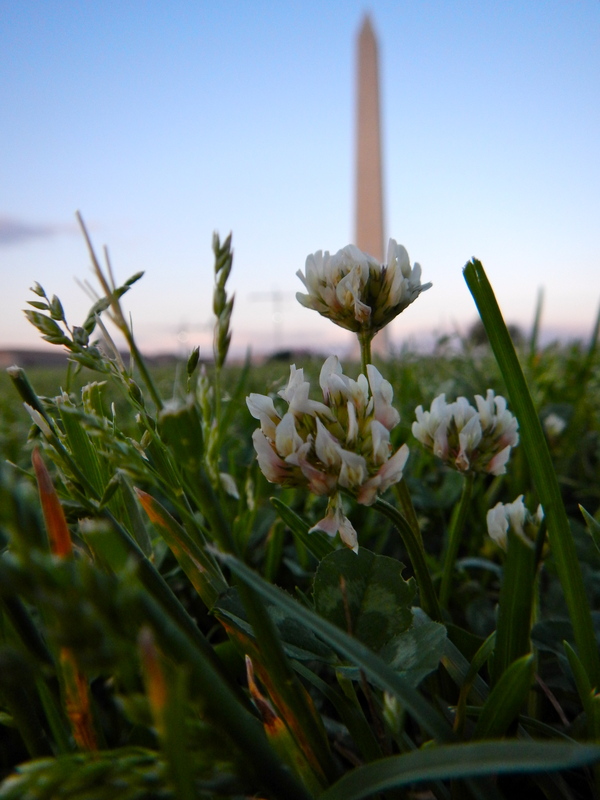 Among the green grass of the manicured National Mall, a few weeds become part of my view. I see them as part of the palette of freedom, small humble things who’ve perservered to claim a place and call it home. Dear God, please bless America, and all those who believe and fight for freedom and justice. Dear weed lovers, go out! Be free and spread the values of freedom with dedication. Our freedom is worth standing up for. Today and every day. Spread the word!